The Magic Of Words : 13.7: Cosmos And Culture Whether or not they involve genuine abstraction, words offer a way to reason and communicate — a respite from the tyranny of the specific, says commentator Tania Lombrozo. The philosopher George Berkeley famously argued (contra John Locke) that we can never have truly abstract ideas — ideas stripped of all particulars and details. When I think of a triangle, I imagine a particular triangle, not some abstract idea of "triangle." When I think of a dog, I imagine a golden retriever or a Yorkie or a mutt — not a "general" dog that embodies only the essence of "dogness," devoid of all nonessential features. Yet, somehow or other, we manage to communicate about triangles (and not just about particular triangles) when we say that "triangles have three sides," and I can tell you something meaningful about the type of animal I just heard outside ("a dog!") even though you know nothing of its particulars. For Locke, these remarkable feats were explained by his view that words correspond to abstractions — to categories in general — and not just to particulars. "Words," he wrote, "become general by being made the signs of general ideas." The word "triangle" signals the general idea of triangles, not that equilateral or that isosceles. The word "dog" signals the general idea of dogs, not that poodle or the neighbor's new puppy. But for Berkeley, this wouldn't do. According to him, we're always bound by particulars, even when we succeed in talking about categories in general. "A word," he wrote, "becomes general by being made the sign, not of an abstract general idea, but of several particular ideas, any one of which it indifferently suggests to the mind." This debate sounds terribly — well, for lack of a better word — abstract. But decades of research in cognitive psychology and psycholinguistics have begun to shed light on the nature of human "ideas" — including our concepts and words. And one dimension of interest has been this: Are we inextricably bound to particulars (as Berkeley would have it)? Or do we sometimes succeed in genuine abstraction (as Locke argued instead)? 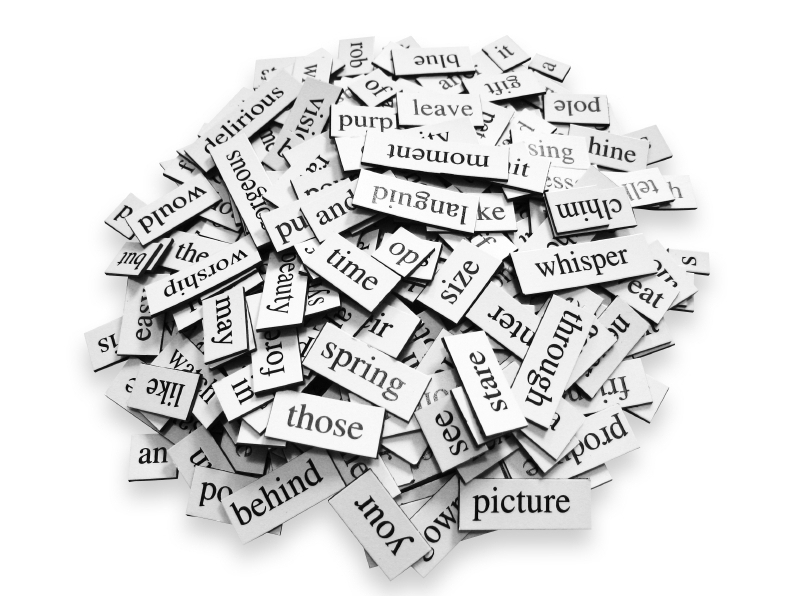 A new paper by psychologists Pierce Edmiston and Gary Lupyan, forthcoming in the journal Cognition, argues that when it comes to abstraction, words are special. "The real world only contains specific instances of rain, eagles and yappy Yorkies," they write. And yet, "The linguistic world transcends this tyranny of the specific, helping to construct a more abstract, categorical mental landscape." In other words, our words help us go beyond the particular to the abstract. To motivate this idea, Edmiston and Lupyan consider different ways to elicit a given idea — say, the idea of dogs. One way to do so is verbally, using the label "dog." But another way to do so is with a perceptual signal associated with dogs, such as a bark. Are these equally effective in eliciting the idea of dogs? Do they differ in the idea that's ultimately elicited? And, in particular, do they differ in level of abstraction? When you hear a bark, it indicates more than the (likely) presence of a dog. For instance, you can infer something about the dog's size and location. If you're especially dog savvy, perhaps you can even infer something about the dog's breed or its mood. The bark is all about particulars. Not so when it comes to the word "dog," claim Edmiston and Lupyan. Words provide a way to signal ideas without committing to these specifics. Words are abstract. In the first study testing these claims, participants heard a sound followed by a picture, and they had to indicate whether the sound and the picture corresponded to the same category: bird, dog, drum, guitar, motorcycle or phone. These categories were chosen because the initial sound could either be the corresponding spoken word ("bird," "dog," "drum," etc.) or a noise generated by a member of the corresponding category (a chirp, a bark, a drum beat, etc.). So, when participants heard the word "dog" or heard a bark followed by a picture of a dog, they responded "yes": The sound and the image matched. When they heard the word "dog" or heard a bark followed by a picture of a bird, they responded "no": The sound and the image didn't match. Edmiston and Lupyan were interested in how quickly people could make these judgments. Their reasoning was this: If noises point to members of a category with specific properties (say a small Yorkie, not a large dachshund), then hearing a noise should prepare people to efficiently process a subsequent picture that corresponds to those specifics — but it might not be so effective for a picture that doesn't match the specifics, even if it belongs to the same category. In contrast, if words make people think about a category in some abstract form, devoid of specifics, then hearing the word should prepare people to more efficiently process a subsequent picture from that category, whatever its specifics. And indeed, that's what they found: Participants were faster to indicate that a subsequent picture matched the sound when the sound was a word (dog) than when the sound was a noise (a bark). What if the noise did match the picture perfectly? For instance, what if participants heard a Yorkie bark simultaneously paired with an image of a barking Yorkie? Under these conditions, participants weren't slower when the sound was a noise (the Yorkie bark) versus a word (dog), but they weren't faster, either. Put differently, words prepared people to process a barking Yorkie just as effectively as a Yorkie bark itself, even though the word lacked applicable specifics that the Yorkie bark provided. So is Locke vindicated and Berkeley refuted? Do words correspond to genuine abstractions, unfettered by particulars? Maybe not. Edmiston and Lupyan's findings convincingly show that words are more general, in some sense, than particular sounds. But the mental representations corresponding to words could still be collections of particulars, not genuine abstractions. Perhaps the larger the collection, the less tied we are to any particular particulars — and the more abstract our reasoning can appear. Either way, words offer remarkable power — the power to think about general properties (like "redness") or general classes of objects (like "dogs"). Whether or not they involve genuine abstraction, they offer a way to reason and communicate — a respite from the tyranny of the specific.